My former designs never did a good job. 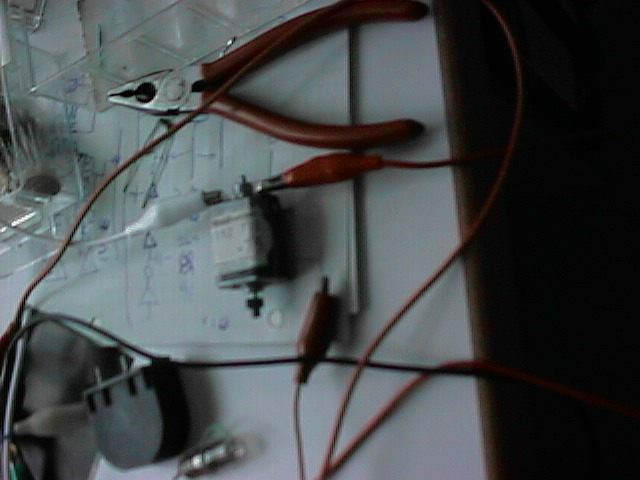 They took several minutes to make 30 Volts of output voltage from a 10 Volts supply. And when you started to put a load on the output, the circuit broke down. but this is history! 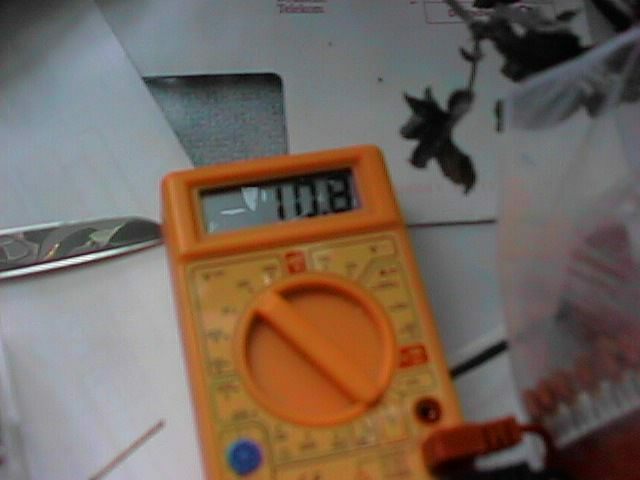 Now ain't that fantastic output voltage??? the breadboard. 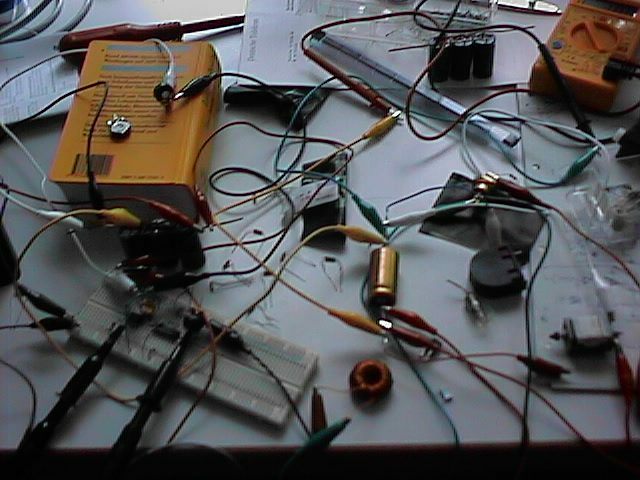 on the left the ne555 with two yellow condensators. in the middle the op-amp. on the right two parallel BUK-100A. i found out two work better than one :) you see the oscillator probes connected here. 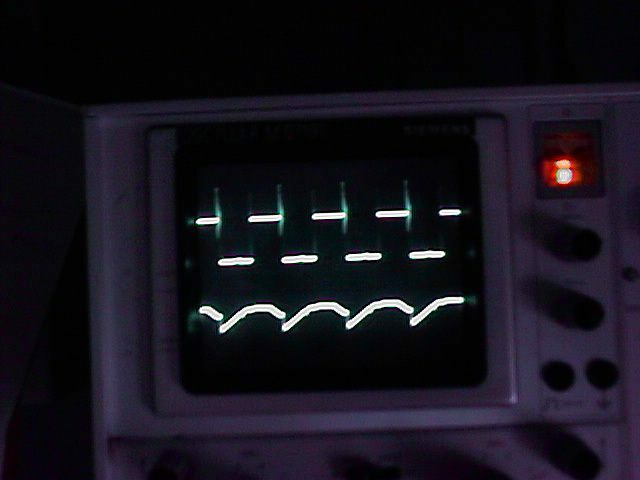 two channel oscillogram. the top one shows output of the ne555. i don't know why there are spikes. i thought that sucking coil would be far away from this circuit, but i am probably wrong. anyway the spikes seem not too bad :) the lower channel shows the Gate of the transistor. as you see it goes from low to high and back. the op-amp could be a little more powerful though. i'd like to have this wave rectangular, but hey it works! 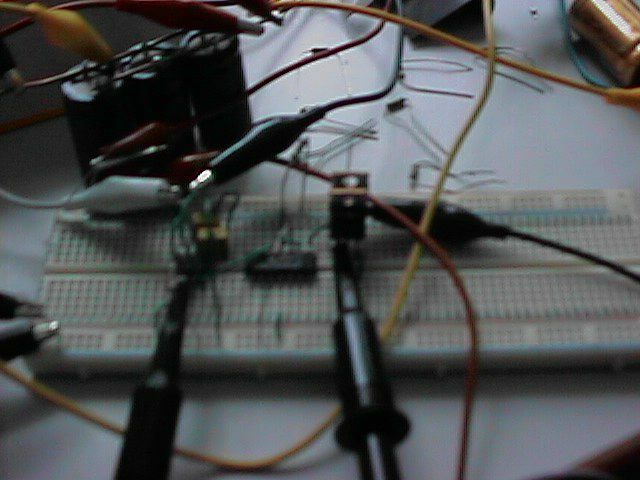 If you are a electronic brain you should know that it works much better, but i am just happy that the circuit even works! by the way. the device has no shutdown this means if you don't connect output load, the output voltage will VERY quickly (i tested) reach 40 Volts. this is critical, because the output condensator explodes if it surpasses 40 Volts. Of course a real application would need additional shutdown. What an improvement :) i did this by reducing frequencies. still i think the optimal solution would be to control the coil by a schmitt trigger. mmmh maybe i should try that. we'll see.